We all have been hearing about flight accidents quite often these days. The recent one being Air India’s flight carrying 179 passengers. Before we begin, let me tell you all the good news that there is no casualty. All the passengers and the crew members are safe and they were safely escorted to the terminal as well. 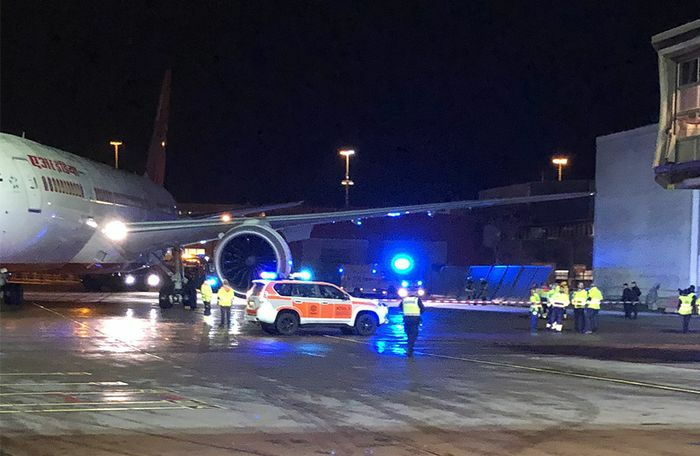 So, Air India’s aircraft originated from Delhi, for unknown reasons, got its left wing crashed against a building at the Stockholm’s Arlanda Airport. The tip of the wing is still stuck against the building, 50 meters away from Terminal 5 and attempts are being made to get it out of the way. The plane was being taxied to the gate when the incident occurred. The incident happened around 5:45 PM (10:15 PM) on Wednesday. “The 179 passengers could disembark from the plane on a mobile staircase and thereafter enter the terminal,” police wrote in a statement. The pictures reveal, the Air India flight being parked alongside the runway surrounded by police vehicles and fire trucks. However, the wing tip is still stuck and attempts are being made to get it out of the place without sustaining much damage. Who’s the Pahlaj at your home?